We recently added a third guidebook to our SMS marketing learning center. 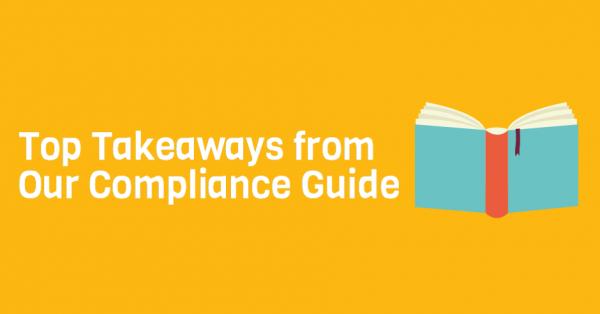 This resource summarizes everything you need to know about basic SMS marketing compliance. Although we definitely recommend you hop over and give it a read, here are the top 3 takeaways from our latest educational resource. 1. Permission based marketing is the only way to build a list of qualified marketing contacts. SMS marketing follows the standards set by permission based marketing. Long story short, you absolutely must have subscriber’s consent before adding them to your SMS list. Never assume that a customer will want to receive text promotions. Although your guess may be fairly accurate, this isn’t something that follows permission based marketing ethics. 2. When promoting your SMS marketing list, be clear and accurate. Never mislead your customers, or trick them into opting in. Not only is this poor practice, it could also result in account suspension. We only work with business owners who want to do SMS marketing the right way. For example, don’t just say “Text BURGER to 31996 to receive a free burger with fries”. Instead, say “Text BURGER to 31996 to receive a free burger with fries, and join our mobile rewards club”. 3. As yawn-worthy as it may be, understanding SMS marketing compliance is crucial to your success. We know, SMS marketing compliance isn’t the most thrilling topic. You’d much rather learn how to grow your list, or increase offer redemption. With that said, failure to brief yourself on these crucial concepts could potentially result in long term account suspension, or poor campaign performance. Let top SMS marketing provider, Slicktext.com help you grow your business. Give us a call today at 1.800.688.6290. Ready to get started? Hop over to our pricing page and sign up for a free plan. We offer a feature rich platform that empowers you, the SMS marketing user, to succeed.